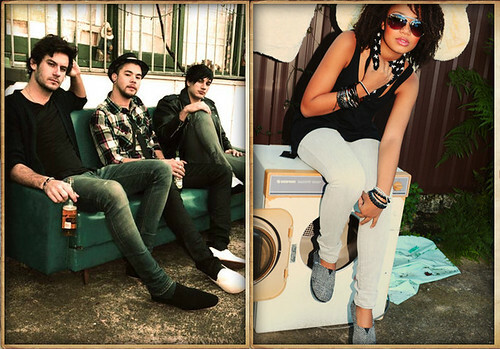 Urban Edge Fashion Advertising with Billie. The new Australian fashion footwear label Billie Shoes have launched their web site with an on-line catalogue including background information about the shoe designs and company. I did the product shots for 'Billie' some months ago and we shot the images for the web site and promotional material in late June. The brief for the shoot was 'young and edgey fashion' with both Urban and Beach locations coupled with some white background studio shots to boot (no pun intended)! We had six models on the shoot, three male and three female and shot about 32 setups on the day including the studio fashion. Our stylist did a wonderful job putting together about 50 outfits for the shoot which included triple shots, doubles and singles. The large(ish) number of models allowed us to shoot some while others changed making a seemingly impossible amount of shots quite do-able. The client and the team were all very organised and the shoot went very smoothly with our little convoy of cars moving quite seamlessly from location to location. Final post work on the images was done by 'Billies' graphic designer at Maxco imparting a slightly nostalgic feel to the pictures and web site. Great job guys! The shots were all done full length as lifestyle images for the site, advertising and promotional material. Its quite a tricky proposition keeping the focus on the shoes in all full length images but I think we did rather well with the footwear presenting as a distinctive key element in all the shots. I have decide to post the published 'web' images in this blog but I will post some of the 'originals' at a later date. 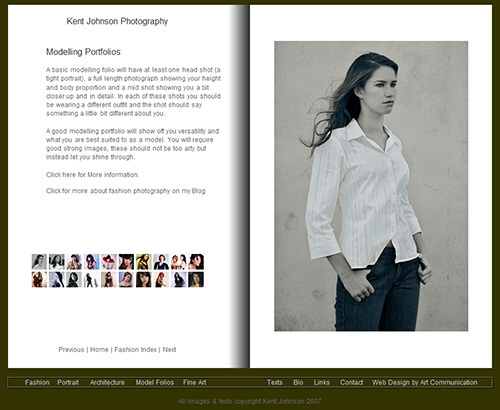 You can view a couple of the white background studio shots on the previous White BG Blog. Thanks to everyone who worked on the shoot and the models who did such a great job of delivering the laid back urban fashion feeling 'Billie' was after. You can visit the Billie Shoes web site here, Billie Shoes. Four models, three tee-shirt designs and the urban landscape. That was our Atomic Milano fashion shoot in a nutshell. The shots were made as atmospherics for an online catalogue to sell the exclusive Atomic Milano Tee-Shirts. The Atomic coffee machine is a 50’s design classic and in the days before café style espresso machines became so affordable they are now seemingly in every kitchen; the Atomic was the stove top coffee machine of choice. An edgy urban setting was chosen that allowed for some nice variations without having to move around too much. The client required enough variety to allow for rotation of images on the web site over time to keep the site looking fresh while staying on-theme so the images will all blend well with each other. We started out with an outdoor studio approach laying down the new 3.2 x 12 meter vinyl white background on the roadway. Our new white ‘floor’ blended nicely with the low graffiti smattered concrete wall creating a neutral space for the models to work in and highlight the Atomic Milano Tee-Shirt. It was decided that the casting for the models should reflect the world-wide universal appeal of the Atomics design & coffee too. If my enthusiastic directing was anything to go by, I may well have had one coffee too many that morning. But the mood was infectious and the models picked up on the Atomic Milano coffee high and delivered great energy for the shoot. The approach to the photography and fashion seems highly suitable for youth market and surf wear; don’t hesitate to call me with any inquires about shooting your fashion line. White Background studio photography has long been a staple of high fashion magazines like Vogue, Harpers and Elle for very good reasons. Virtually nothing can compare to the clarity of high quality White Background (WB) studio shots. This longstanding studio technique was made famous by fashion masters such as Irving Penn, Richard Avedon, Bill King and David Bailey. But what makes WB so popular and why has it stood the test of time so well? Whether it be Fashion Editorial, Advertising or Catalogue, WB presents a blank canvas for the photographer to show their pictorial skill and the fashion in a multitude of ways. A plain white studio is no place for a photographer to experience a creative block; rather it’s a bit like a creative Olympics, a level playing field where the photographer gets to show their stuff! 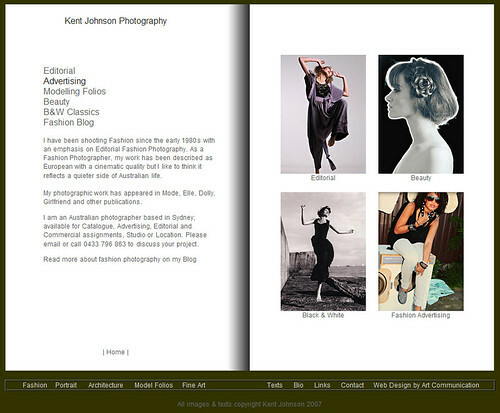 Of course WB is not just great for high fashion it’s also very useful for catalogue work too. With fashion retail moving to the internet, modelling the clothing against a neutral backdrop like a WB allows for easy integration into the web sites online sales pages and makes updating the site while maintaining site consistency a simple proposition. For more ambitious shoots like the work at the top of the page, a large studio area is required so the photographer has adequate space to model the lighting as desired. However a lot can be achieved in more humble studio set-ups and in these situations a little Photoshop clean up can go a long way in acquiring the desired result. As a freelance assistant in Sydney in the late 80s I had the privilege of working with quite a few young photographers who had trained with some of the Masters mentioned above. Shooting White Background on film without the benefit of retouching is a great skill and being able to see and experience first hand the varied approaches to this staple of studio photography was a great education. I hope you enjoy some of the simple examples of my WB work on this page. 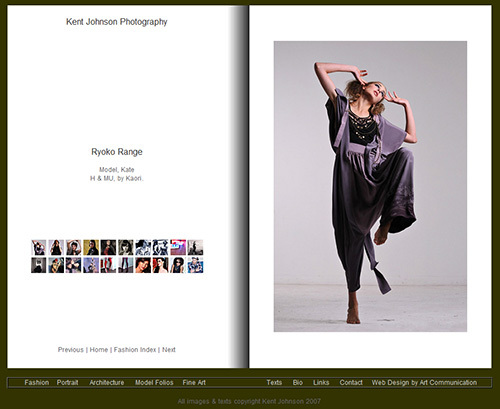 Please feel free to contact me about any fashion projects you may have in mind. Black & White Photography back in Fashion. Well I am pretty sure that black & white photography has never really gone out of fashion but digital photography has certainly rocked black & whites boat a bit. As far as film based photography is concerned the Black and White (B&W) process has always been a highly customisable and often a deeply personal process; can digital B&W be just as flexible? Although I was once-upon-a-time a B&W specialist, digital lured me across to colour photography. However I did miss my B&W and like a lot of old school B&W film photographers I was not completely happy with digital B&W conversion at all times. Although I have managed to create some lovely B&W images using digital, it was just not quite the same thing. The type of control I was used having from using a combination of film & developer matched with B&W paper & paper developer, followed up on occasion with post processing toning... That's three steps each with their own variables; that's a lot of control! The great thing about traditional B&W is the colour of the prints and the added depth that it provides the image with. Colour in B&W you say! Monochromatic would be a far better description. Recently I picked up a retouching book called Skin which I had heard good things about. It has some very good tips and techniques for retouching skin but what I quickly realised was that some of these techniques could also be applied to B&W conversion in a way not too different from choosing Film, Developer, Paper and Toner combinations. I pulled out my archive of the shoot with Sarah that I was not happy with and got stuck back into the shots. In one evening I had the series of shots processed as they are now (top two rows above). They are now not so different from what I would expect from an afternoon in the darkroom. It looks like Black and White Photography is back as strong as ever. With two catalogue shoots coming out this month I can safely show a few shots and ramble on a little bit about the shoots. The first catalogue was a winter knitwear range for both men and women. We shot over two days in the warmth of mid December and I think we successfully managed to achieve a nice sunny Australian autumnal feel. Well autumnal minus the falling leaves. This was not really a problem though as we were shooting a pine forest type location. Think Southern Highlands; but only 10 minutes from the Sydney CBD! The art director and client were very happy with the results and decided to add additional pages to the catalogue including double page shots for both men and women and some scenic shots of the location I had made some time earlier. To add to the editorial feel of the shots we ran some of the shots as classic B&W. I must say that even after five years of shooting digital (where all shots are initially colour) I still find it a little odd that I always have colour and black and white in the camera at all times thanks to digital post production. The second catalogue was swimwear so it was a bonus that it was still summer. This catalogue was running late and turnaround time on the shooting and post production was urgent. We selected a harbour beach location next to some beautiful harbour parkland. We were looking to create more of a lyrical fashion feel and not so beach oriented. The parkland with glimpses of blue water through the trees was perfect. The location, although typically Sydney has a slightly exotic feeling; I made a point of keeping identifying landmarks out of the shots, we could have been almost anywhere on the Australian coast. Of course when your close to deadline and you need a lovely sunny day it will rain! And rain it did right up to the night before we shot. On the day of the shoot we had beautiful clear sky and the soft light that you only get when all the pollution has been washed from the air. A perfect day for a perfect shoot. As budget was tight the location shots were limited to a selection of swimsuits from the range, all the swimsuits were shot the following day in the studio against a white background 'look-book' style. These swimsuits also included children's and plus size swimmers.